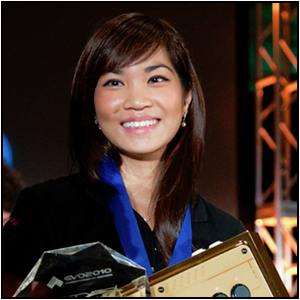 Many people know who Kayane is, as she is one of the most popular Soul Calibur players and the woman who won the Evolution 2009 Women’s Invitational for Super Street Fighter IV. She is one of the most prominent female figures in the Fighting Game Community. Having started playing at an early age, she has effectively helped to dissolve the myth that women are unable to compete at high-level in the FGC. A while ago, Kayane took the time to answer some of my questions after I requested an interview from her, which I want to share with you all now. Even though this interview is a year old (Completed January of 2013), I feel that it will still be an interesting read for anyone who wants to know a bit about this professional gamer. The reason this interview has taken so long to be posted was because of my computer failing on me. Also, I had assumed since all of my e-mail was cleared out that I no longer had the interview, but miraculously the entire Q & A session was still in my “Sent Mail” folder. With that being said, I want to apologize to Kayane for not being able to post this sooner as she did take time out of her busy schedule to answer these questions. Again, this interview happens to be pretty old and some or all of this information might have changed. Even with that being said, I think it is still something that everyone would want to see, and if nothing else it is a reflection of who she was at that time. You can catch it below. First off, how did you go about getting the name “Kayane”? I found the name “Kayane” when I was 9-years-old, I participated to my first fighting games tournament on Dead or Alive 2. They asked me a nickname, so I mixed the first names of my two favourite DOA2 characters: Kasumi and Ayane. Interesting, did not know you ever played Dead or Alive. Well, are you interested in competing in Dead or Alive 5? What do you think about Monty Oum’s “Dead Fantasy” (Final Fantasy vs Dead or Alive)? Yes I will compete for DOA5, especially if there are major tournaments ! I have always liked this game and its beauty. The Dead Fantasy video was amazing, I enjoyed watching it! You are well known amongst Soul Calibur players, what do you think contributed to you gravitating towards this game? What exactly did you like about it that made you invest your time in becoming a pro at it? I like all the Soul Calibur universe and especially the character Xianghua, even though she’s not here anymore in SC5 as she was replaced by her daughter Leixia. I especially liked the Soul Calibur community, it really made me want to continue to play the game and compete in tournaments. I didn’t think to be a pro or be sponsored, but opportunities have come to me and I’m glad! Did you ever think you would eventually become as big as you are? What was it like once you recognized “I’m a Top Player”? I didn’t think I would become such a famous player. I have just played because I like fighting games, but it’s a nice feeling to be recognized just because I play. Once I recognized I was a top player, it didn’t change anything in my fighting games vision and the competition. There are many other good players and if I don’t train, they’ll definitely stronger. But it has changed me in another way; being recognized made me realize some players need to hear advice from someone that has experiences in the game. So I have become more open-minded and developed my communication with my blog, Facebook, and Twitter. Since people follow me and listen to me, I want to help them to enjoy more fighting games and improve their level. When it comes to playing in tournaments, what do you think is the most valuable thing to remember? The most valuable thing to remember is to be confident and play as usual, less risky though. What has been the greatest tournament experience for you? What has been the most heartbreaking and disappointing? The greatest tournament experience was when I was 12-years-old. I won against DTN, considered as the Soul Calibur 2 World Champion (he won SC2 EVOLUTION tournament in 2003) and won a 1500€ bank check for his cash prize. We were rivals in every tournament during finals since I was Vice Champion and he was the Champion. So it was the only one occasion I could beat him at this game in a score of 10-5. I was very happy! Being a famous gamer, do you ever find it overwhelming to get privacy at tournaments or social events? Do you ever feel like being popular is both a blessing and a curse? I’m quite secret when it comes to my private life, I have to be careful so people don’t know many things about it. It’s better because I know how things can go fast in a community and internet. Being popular attracts jealousy, hate and other bad feelings. But I don’t pay attention to it since i’m used to it since I’m 9-years-old. So I can’t tell it’s a curse! A lot of people who play crave this attention in the limelight. Do you think it is all it’s hyped up to be? Bright lights, awards, and your name everywhere? I think being famous just to be famous and say “hey I’m not like everyone!”, is totally useless! I have taken advantage of my reputation to organize my own events for the fighting games community in France for example. It’s called “Kayane Session” with 100 fighting game players every time to play casuals only (not tournaments). I used that “popularity” to attract sponsors and organize an event where players can meet every month in a convivial atmosphere. I have used my reputation in the Soul Calibur scene to tell the producers how the community would like their new Soul Calibur to be…and they have listened to me. I support the games I love, the tournaments organizers, the brands and people that help the community and events. Popularity has to be used for the community, where we come from. Even though it takes me so much of my personal time, i’m happy to make some things happen. You are a sponsored gamer, are you not? Who all is backing you and supporting you? Yes, I am sponsored by eLive.pro. It’s a team and sponsor at same time. It’s a website where people can comment any video from Youtube directly on eLive (you just need a mic) and viewers can listen to you in direct live. There are many options for the casters to make their casts more attractive. 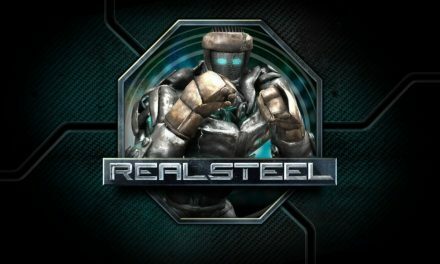 Do you have any team mates of fighting game that eLive.pro also sponsor? What do you have to say for gamers who are trying to get sponsored? Tips? eLive sponsors many players for fighting games. Well, for those who want to be sponsored…they have to be present in the fighting games scene, make results and have a good communication and followers. What is your training regimen? Do you simply play a lot of casual matches, or do you contribute a lot of your practice time to playing in Training Mode? I train on Practice Mode when it’s necessary, to train combos, priorities and good tricks. It depends on I prefer in general playing in sessions to train, it’s efficient and there is the contact with other players. Speaking of, you are most known for playing Soul Calibur. Do you find yourself able to consistently pull off combos you’ve learned in training mode, or do you feel it is more impromptu combos that are done on the fly? Combos in Soul Calibur are not complicated in general, so I can do all of them during a match! It’s more complicated with a character like Tira, because she has 2 personalities that are randomly changed during the match (some moves can make her change the personality as well). The command list changes from a personality to another…so the combos as well. What do you like to do outside of gaming for fun? We know you’re a tournament-wise competitor, but what do you do to relax when not gaming? Outside of gaming, I like going out in Paris with my friends, shopping and read stuff about fashion and make-up. I also enjoy watching movies and series. And sometimes I play piano. Do you feel your life is centered around your gaming at this point? Or do you find a good blend of day-to-day activities that do not involve gaming? Gaming is definitely a big part of my life. But there are some days I don’t play at all and just make another activities without thinking of games. I organize my time for everything. Out of all the experiences you have had while playing, what would you say is your greatest moment? My greatest moment is when Daishi Odashima (Soul Calibur V producer) offered me at EVO 2011 an unique artwork of Xianghua and Leixia (my characters), he specially asked the Soul Calibur artist to draw it for me. That was the first time I cried for joy in my life ! Even winning a tournament didn’t make me so happy! It has really touched me a lot. That’s the best moment I have had as a player ! To be recognized by the producer of a fighting game is a huge achievement. What was running through your mind at that time? Out of every single game you have played, what character can you relate the most with? I would say Xianghua or Chun-Li, because they’re both strong women willing to fight and they are kind-hearted in same time. Xianghua, as you said was replaced by her daughter, Leixia. Most players immediate reaction when their main characters do not make it is to scream foul. Do you feel a bit “stranded” without her? Are you planning on maining Leixia? Well, Leixia looks like a lot to Xianghua so it’s still consolating. Even though I prefered Xianghua because i’m nostalgic and I have played her since I was 7. I will play Leixia, but i’m thinking to have another main character as well, Natsu. I love her personality and her illusions when she fights. She has a lot of pressure games and many moves that feint, she looks better for competitive scene than Leixia right now. In the upcoming future, what is the one game you are most looking forward to and why? Of course I’m waiting the most for Soul Calibur V, because this is my favourite game and I know I will live many good experiences thanks to this game again! Last but not least, if you had to give advice that applied to the way you live your life and the way that you game, what would you say to the community? I would tell them to never forget why they have begun to play. Because with the competition, all those sponsors arriving, the hype etc…some players want so much to be strong and take the time to train for this goal, that they forget to exchange advice, tips etc with the community : we don’t become stronger alone and if you help other players to be stronger, then so do you. They also forget the fun to just play. So never forget it’s a passion before everything. I think this interview went smoothly enough, and I had no idea she had an interest in so many games. She began to play fighting games very early on in her life, and I like the notion of “Passion before everything”, as most people eventually forget the reason they even began to play fighting games in the first place, to have fun. 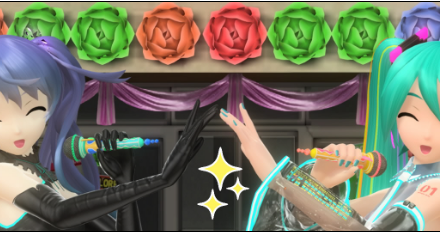 I also found it funny that “Kayane” was the fusion between Dead or Alive‘s Kasumi and Ayane’s names. I read on Shoryuken the other day that she is now sponsored by Red Bull, so best of luck to Kayane in her new partnership and on all feature endeavors. PreviousAnnouncement: Article Archive Coming Soon!